A day in the life of an…orthoptist! 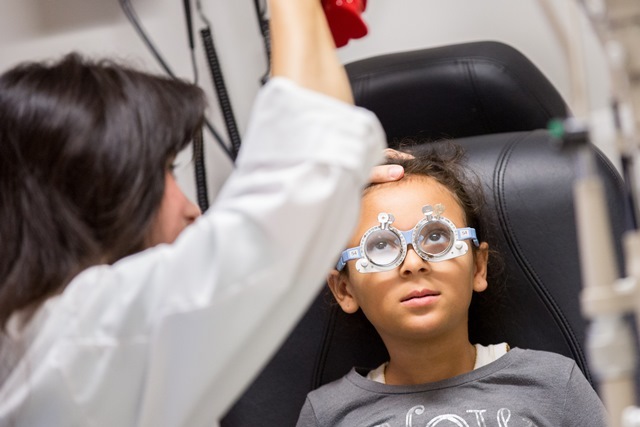 Their main objective is to straighten the eye, strengthen the weaker eye, or refer to surgery if none of the treatments help and prescription glasses don’t work. Most of their patients are treated by various non-surgical treatment options, like glasses and/or wearing a patch over the dominant eye in order to strengthen the weaker one. However, a quarter of their patients have a more complicated reason behind their visual impairment, like a brain tumor. 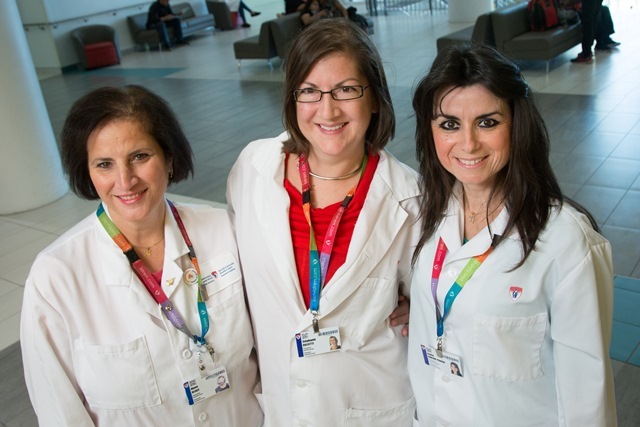 There are three orthoptists at the Montreal Children’s Hospital, Gaëla, Mona Hijazi and Stephanie Oglietti. They each see approximately 12-13 patients a day and a consultation can last between 20 to 45 minutes. 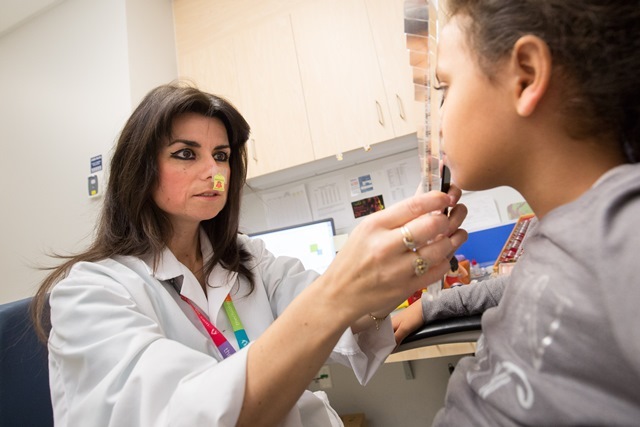 During a regular appointment, Gaëla will observe, measure and use different techniques, like using a prism to determine the gravity of the problem. A prism is an optical device that can be placed on a patient’s glasses to trick the brain into thinking that the eyes are straight. The strength of the prism can be easily adjusted until the eye is recentered and the prism is then removed. 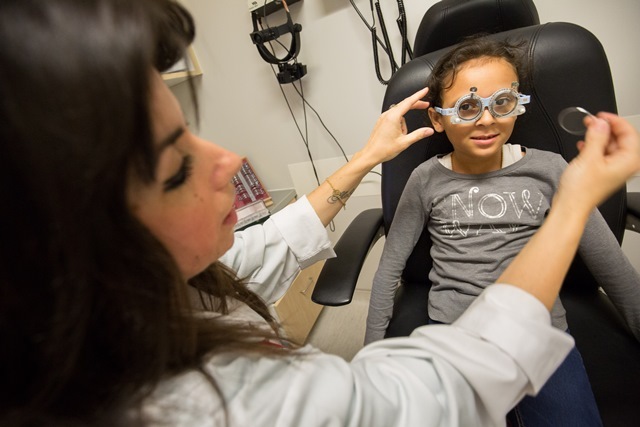 During a consultation, Gaëla will check a patient’s 3D vision, as well as the muscles around the eye. “We have six muscles in each eye that allow it to move and I can figure out which muscle is not working by simply looking at it,” she says. The eye will drift outward, inward, upward or downward depending on which muscle is affected. If there is any deviation, she figures out which muscle is not working and then measures the angle of the deviation. “These measurements help the ophthalmologist with the surgery,” she says.